Lawyer | Jacksonville, FL - Law Offices of John Kalil P.A. At the Law Offices of John S. Kalil, P.A., personal injury, wrongful death, and negligence law is our focus. Rely on our expertise and personalized attention to assist you with your legal needs and guide you through the legal process. Whenever you need a lawyer in Jacksonville, FL, reach out to our team. 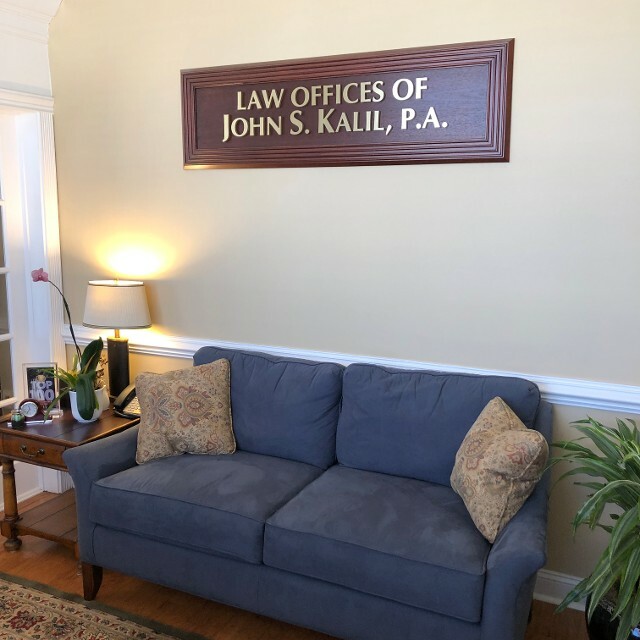 The Law Offices of John S. Kalil is a trial law firm that focuses on personal injury cases, particularly automobile, trucking, and motorcycle accidents; wrongful death cases; and products and premises liability cases throughout the state of Florida. The firm's clientele includes victims of automobile, trucking, and motorcycle accidents; medical negligence; and victims of slip/trip and falls. Moreover, Mr. Kalil also focuses on handling tort cases involving product liability and tobacco-related cases. to schedule a consultation about the details of your case.